At a 3GPP 5G workshop in Phoenix, Small Cell Forum identified priorities that will be critical in shaping the roadmap for 5G networks. The Forum outlined the issues, options and requirements on which its members are working, and which could smooth the path to the introduction of 5G. 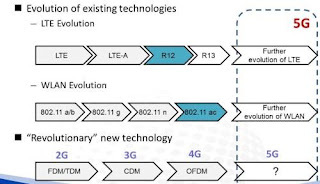 23 September 2015 – London: At a 3GPP 5G workshop in Phoenix, Small Cell Forum identified priorities that will be critical in shaping the roadmap for 5G networks. The Forum outlined the issues, options and requirements on which its members are working, and which could smooth the path to the introduction of 5G. The workshop was organized by the 3GPP RAN group, the industry body responsible for mobile network specifications across 3G, 4G/LTE, and upcoming 5G standards. Invited to speak at the workshop, Small Cell Forum – an operator and vendor body that has pioneered and helped standardize the commercial development of small cell technology – outlined the scope of its current work program that is helping define the role of small cells in a 5G network. Addressing the 3GPP members, it set out requirements in three key areas – multi-operator support, RAN virtualization and monetization through common APIs (application programming interfaces). Earlier this month, the Forum unveiled six key operator-led small cell work programs to drive the development of future networks. Small Cell Forum Chair Alan Law said: “The small cell will play a central role in the high capacity, densely deployed HetNet networks of the future – both for current 4G/LTE systems and for future 5G networks. “We were able to share with 3GPP the work we are doing on multi-operator small cells, on access virtualization over different latency transport networks, and on monetizing 5G through the establishment of common API frameworks – all challenges we have been addressing from a 4G perspective and where we have strong learnings to bring to the 5G table,” he added.